No updates on the site during almost a week were not because of my laziness or lack of news. Last week I had 3-day trip to the Greek island Corfu. The population of this small island (total length of 70 km) is about 100 thousand people. Island's transport has always been interesting for me, because of some difficult of delivery of new vehicles there. It is clear that there are no many heavy duty trucks on the island. Basically these are dump trucks and other construction vehicles. The most common of them are old Mercedes-Benz Series NG and SK. 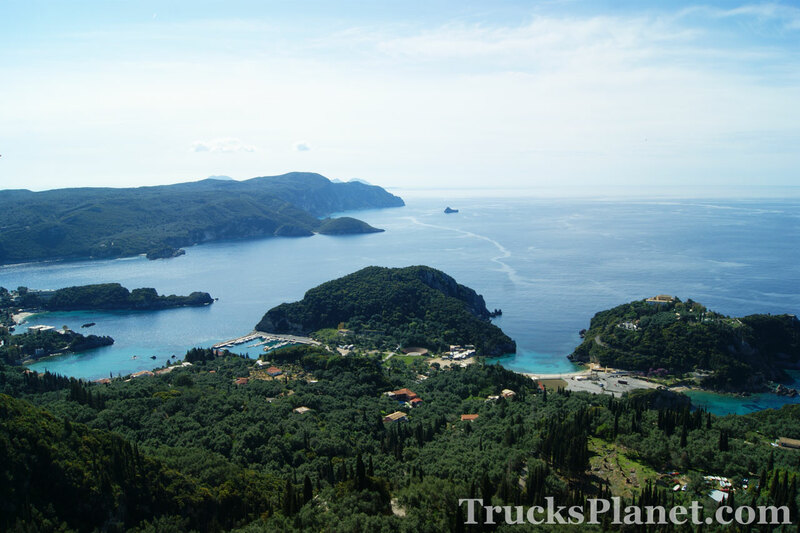 But the most popular cars of an island are pick-up trucks, because of narrow mountain roads. The most popular commercial trucks are old Nissan, Mitsubishi, Tata and other trucks. Also I have met several homemade trucks.